Three reasons why this wildlife problem is a human problem – one that we can and must solve, fast. The monarch butterfly is making national headlines as reporters and commentators are using the dooming western population count to sound the alarm about the loss of the orange and black icon. But the species’ decline has not been a sudden one. Scientists have been predicting this for years as the monarch has been on a collision course with agricultural productivity and climate change for at least two decades. Really, the dangerously low monarch count isn’t unlike a natural disaster in that it is a scary marker of a much larger and more dangerous transformational change. The biggest difference between the monarch’s decline and natural disasters is that the monarch’s decline is ultimately seen as a wildlife problem, not a human problem – but they are one in the same. Here are three reasons why. The hurricanes that repeatedly ravage the Southeast, the floods that increasingly disrupt agricultural production and contaminate drinking water supplies in the Midwest, the droughts and wildfires that plague western communities and leave tragically high death tolls – these are the warning signs of a much larger problem: climate change. The same is true for the decline of the monarch. 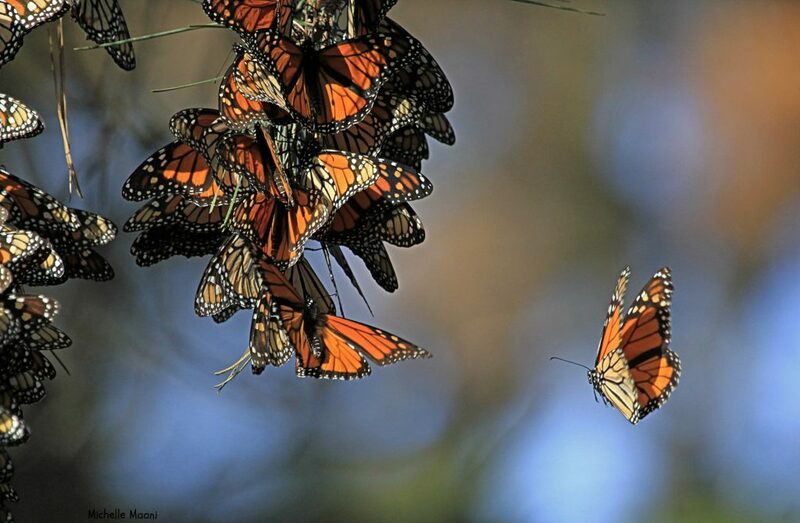 In fact, climate change is altering many of the environmental conditions that stress an already low monarch population, which was likely impacted by the early spring and the California wildfires that took so many human lives in 2018. Prolonged droughts have also decreased the quality of milkweed and wildflower habitat available for monarchs to breed and feed throughout their migratory range. An equally devastating dynamic has played out in the middle of the country where farms have greatly expanded their footprint, expanding the acreage of crops and diminishing the monarch’s summer breeding habitat. This process of agriculture intensification was facilitated by more effective herbicides combined with herbicide resistant corn and soybean varieties. Ultimately, the status of the monarch is in perfect sync with the health of our ecosystems – from the prairies of Iowa to the coastal California forests. It’s the proverbial canary in the coal mine. The monarch’s declining health should tell us that these ecosystems are in desperate need of resuscitation. If we’re going to change the trajectory for the monarch, we need to not only address climate change, but also protect, restore and enhance milkweed and wildflower habitat on working lands – the farms, ranches and forests that provide humans with food, fiber and shelter, and cover two-thirds of the lower 48. Until recently, society has viewed incremental habitat loss as the price we pay for feeding and fueling the world. We’ve convinced ourselves that extinctions are a regrettable, but still reasonable, price of progress. We can’t afford to continue with this mindset, because the losses are too significant and we’ve put the very industries and communities that triggered this problem at risk as a result. That’s because these industries and communities rely on the same healthy habitat that butterflies do. For example, monarchs need the same wildflower habitat that bees need to pollinate farmers’ crops. Monarchs also thrive in the same prairie habitat that Midwestern communities need to filter their waterways. Working land managers can play a big role in saving the monarch, but they can’t do it alone. Policymakers, businesses, conservationists – all of us – must work together to make it profitable for farmers and ranchers to steward wildlife habitat at scale, because we all benefit from the ecosystem services this habitat provides – enhanced pollination for agriculture, improved soil health and improved water quality. 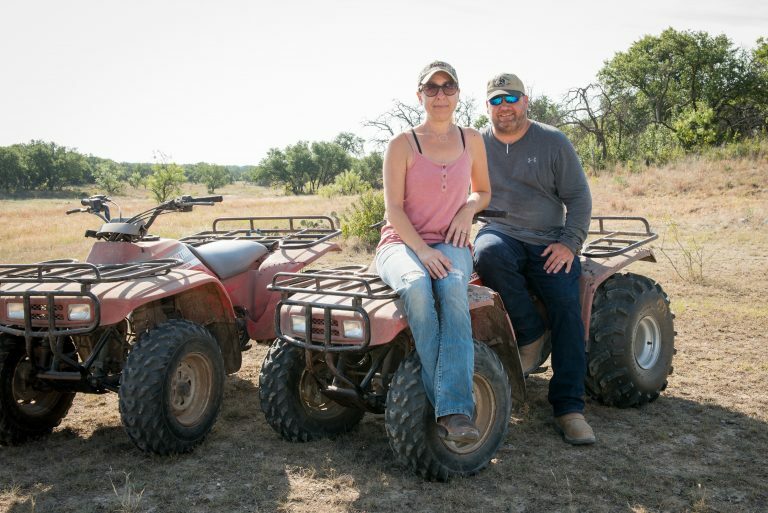 Learn why Texas ranchers George and Amy Greer of Winters-Wall Ranch are participating in monarch conservation efforts. Monarchs are just like us in many ways. They are being driven from their homes, suffering losses from extreme weather and trying their best to remain resilient in the face of increasing threats. But they are also very delicate, hanging in a balance between survival and extinction. Fortunately, humans are stronger than butterflies. We’re more resilient. We have the capacity to innovate, to collaborate and to create transformational change, instead of just watching and letting it happen. We have the capacity to stabilize the climate, clean up our waterways, and create policies and procedures that keep us safe. We’ve done some of this work already. Congress last month passed a bipartisan, climate-smart farm bill, for example. The U.S. Climate Alliance recently developed state-specific resilience playbooks for new, incoming governors. And many large food companies – including Smithfield, the world’s largest pork producer – are committing to more sustainable practices. In doing so, we will not only do our part to help save the monarch butterfly and countless other species from extinction, we will also be preparing ourselves to survive and thrive for generations to come. This entry was posted in Wildlife Protection and tagged climate change, monarch butterfly. Bookmark the permalink. Both comments and trackbacks are currently closed.